You are here: Home / Sponsored / Winter Clothes Review: Zulily! I (Cady) am pretty much obsessed with cute little girl clothes, and one of my favorite places to shop is Zulily, so when I got the chance to review some winter clothes from Zulily for my daughter, I jumped at the chance! I LOVE Zulily’s clothes – they’re always so cute and stylish. There are always SO many outfits I want to buy! When I was told I’d be getting a winter outfit to review, I figured a dress and shoes or a top, pants and shoes. So, I was SO surprised and excited when I got a box FULL of goodies! 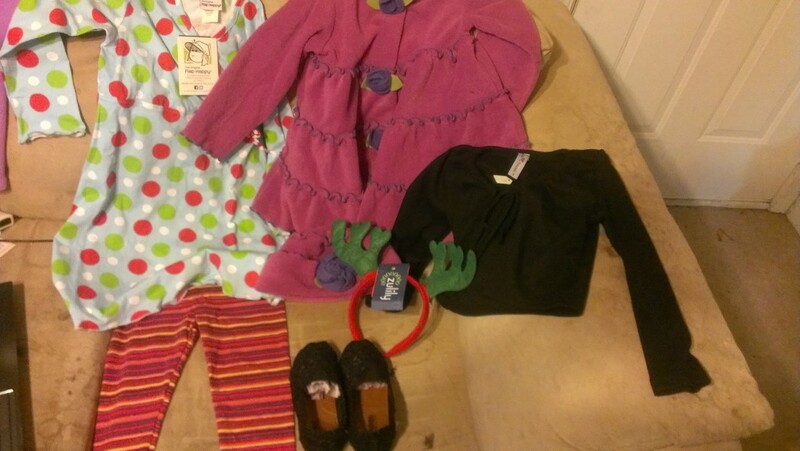 Check out the loot we got – a dress, striped leggings, shoes, a coat and hat set, a sweater and reindeer antlers! Lucy said she liked the antlers the most. “I love headbands!” she said. What I really loved the most was that I could use these for so many outfits. Lucy wore the black sweater over a dress to church last weekend (and, of course, I forgot to take a picture of it!). 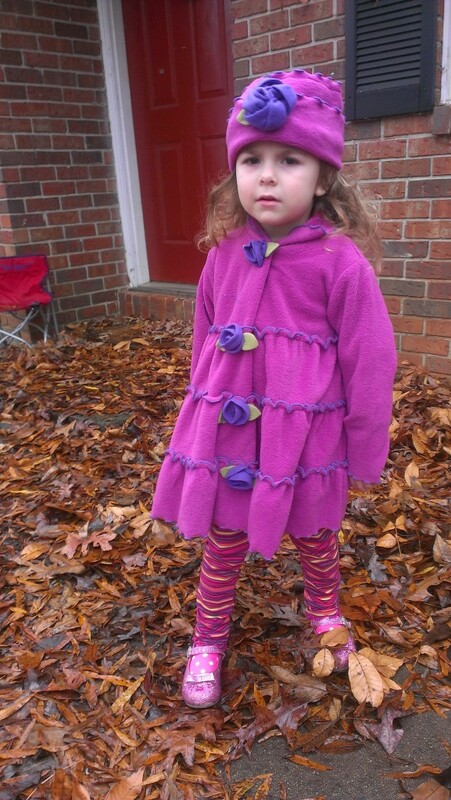 She wore the dress to school last week, and I paired the leggings with a brown baby doll top – it is SO stinking cute! 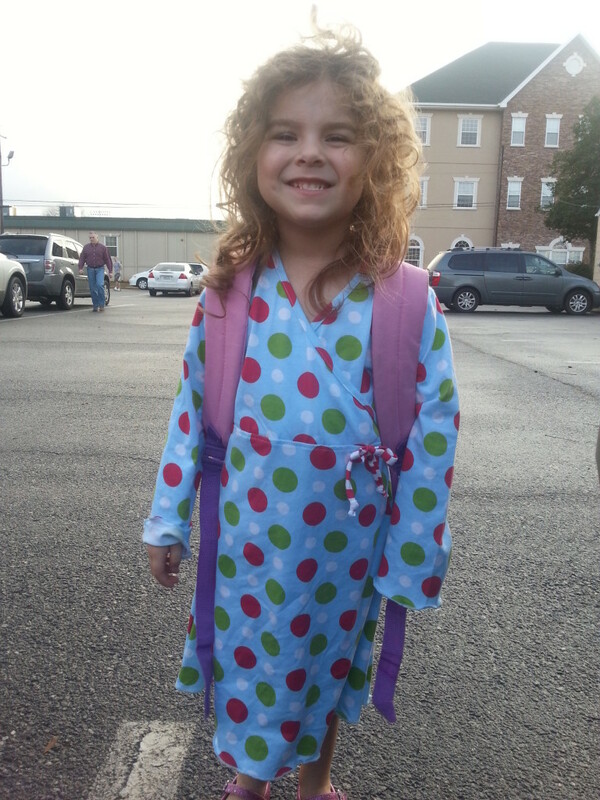 Seriously, how cute is she?? The clothes are ADORABLE! 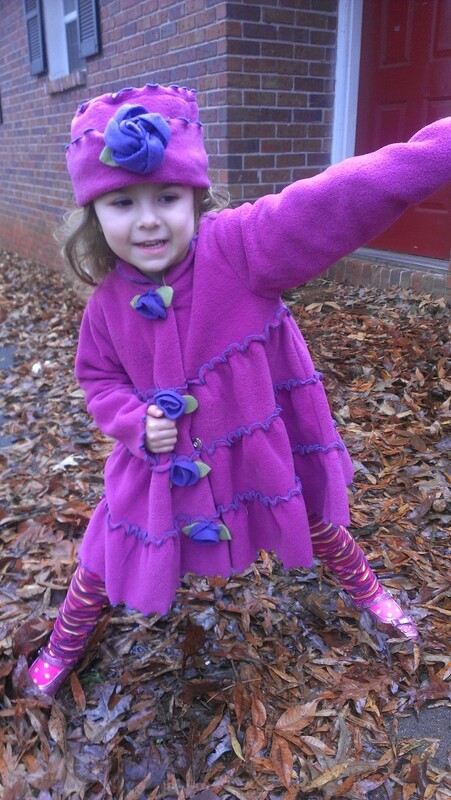 I think the coat and hat set are my favorite – the coat is so thick and warm, and together, they are just so cute! Lucy isn’t super big into hats, but she LOVES wearing this one, probably because it has a flower on it! This is the only coat she’s worn since she got it, and it goes with everything. I love having it as a dressier coat to wear to church. I really don’t like her wearing her regular, casual winter coat to church! I will totally be buying more clothes for Lucy from Zulily for the holidays. They always have THE cutest styles, and the prices are much lower than you’d pay elsewhere! Even though my daughter is petite and is still wearing clothes from last winter, I still don’t want to pay full price for outfits! Have you bought clothes from Zulily? What was your experience like? Let us know in the comments!